Back home from an evening run , i was relaxing and contemplating what to eat for a light light dinner. Salad with some carbs fitted my idea well. So i headed to my farmland , my fridge .. and i instantly had a "yum yum ! 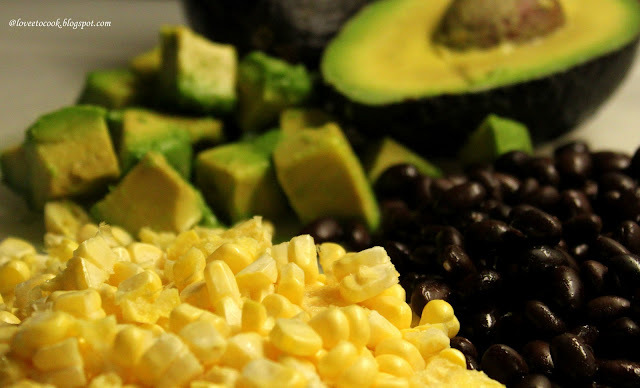 at first sight " with the innocent avocados, corn and lime..
Now open the can of beans, rinse and drain. 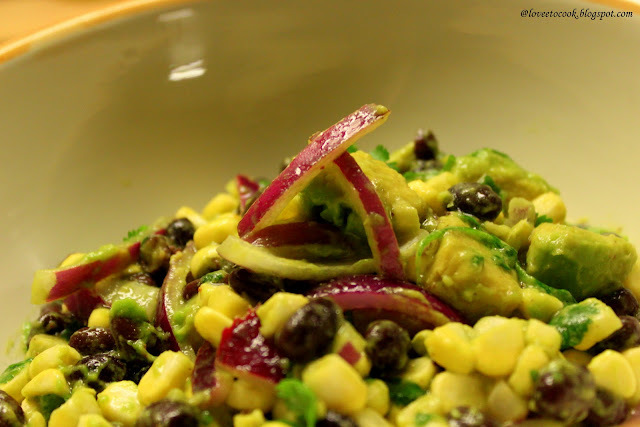 Take a bowl and mix the corn , beans, avocado, onions and cilantro and pour over the vinaigrette. Avocados turn dark immediately once peeled and diced so u would want to pour the vinaigrette sooner. Thats a gorgeous looking wonderful salad..
very innovative...great salad recipe for dinner! !